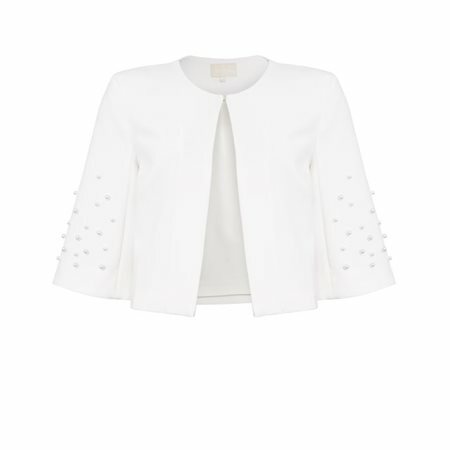 This neat little box jacket has been beautifully tailored from a rich cream coloured fabric with striking pearl embellishment. Created by FeeG for the A/W 2018 collection this jacket will compliment a number for the dresses in the collection. We love the finishing on this jacket, it has a delicate clasp on the neckline and the sleeves are full to provide a flowing look. The jacket is fully lined and comes in a navy version. Fee G Clothing:If you are interested in purchasing why not give one of our very friendly staff a call on 028 9182 1440 and they will advise you on the fit of this particular garment.